Could you please introduce yourself and your team to the Techfugees community? 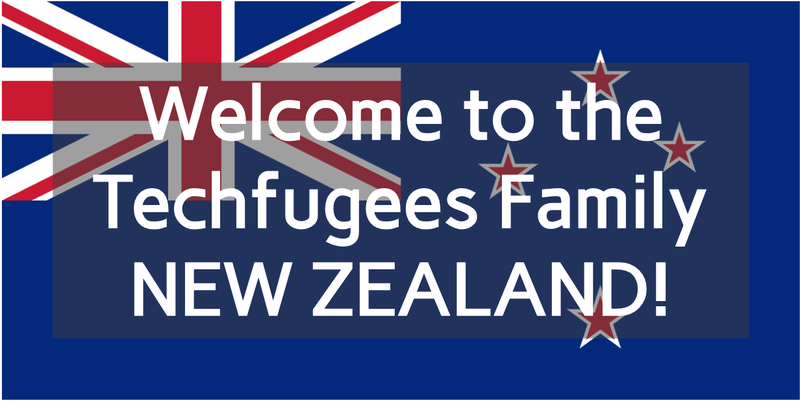 We’re two passionate Kiwis (that’s what people from New Zealand call ourselves) who are excited about how technology can help resettlement here in New Zealand and around the world. We know there’s innovative thinking and solutions here in our country which are yet to emerge and we want to help make that happen. Rochelle was running a refugee umbrella organisation here in Wellington and looking for innovative initiatives overseas and voila, a quick Google search found techfugees.com. 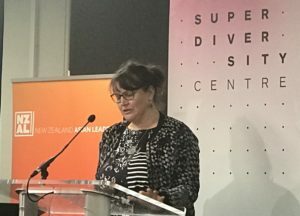 From there, she kept track of Techfugees and in 2018 an opportunity came up to work together with Jude to launch the NZ Chapter. Which are the displaced people’s main needs in your country? The biggest need for people resettling in NZ is suitable employment. It’s more than just any job and financial returns. It’s independence and a sense of achievement. It’s a job that matches someone’s skills, qualifications and experience. The right job is something that not only helps someone rebuild their lives, but enables them to contribute financially, socially and personally to their new country. We have a hackathon scheduled in Wellington on 6-7 April 2019. We’re also aiming to launch a Women Fellowship Programme later in the year. With which kind of organization (tech, NGOs, universities, officials,…) do you plan to partner with? We’re aiming to partner with refugee umbrella organisations, tech organisations, entrepreneur incubators, universities, local City Councils and Central Government. We would love some social media followers and sharers to help build momentum and get the word out there. We’re also really open to hearing any advice and lessons that other Chapters have learnt along the way (many thanks to Annie Parker from Techfugees Australia for already sharing). We’re also starting to look for sponsors if anyone has links they can introduce us to. Join their Facebook and Meetup groups! With a passion for transparency and accountability, Rochelle has long been a believer in the principles of equality, fairness, and justice. Describing herself as an Intrapreneur, she works to wrangle change from inside existing systems and drive social change. Her focus is on driving active engagement between civil society, government, business, and academia. 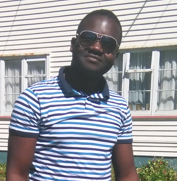 However, when not at work he likes to play soccer and take an active role in other community activities, as well as spend time with family and friends.  Do you want to open a new one in your country? Let us know more here!